If any of you have been reading my blog for a bit, you know that I am absolutely obsessed with anything floral. 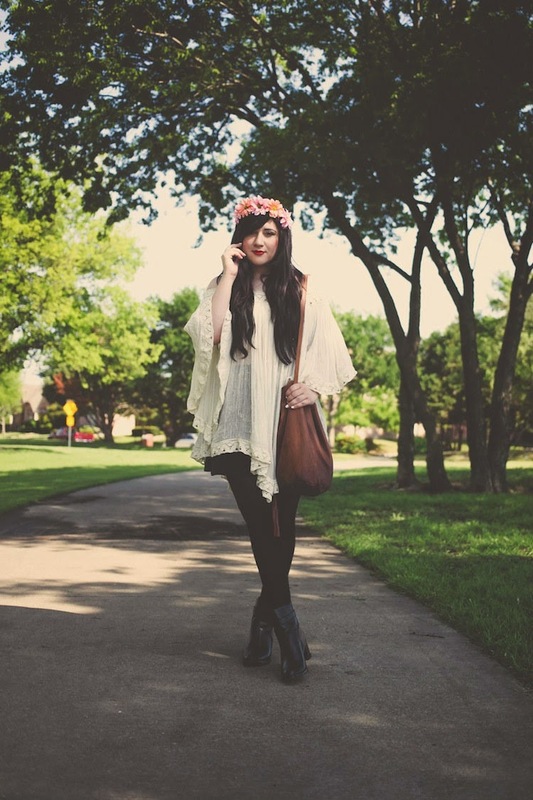 Dresses, actual flowers, skirts and of course floral crowns. I got this one from forever 21. Originally it came as a flower chain, but I hot-glued it to a headband so I could wear it more as a crown. That's a little tip if you want to wear it at the top of your head vs around your forehead. I like it this way a lot better! Anyway, I paired it with this flowy top that I am completely obsessed with from DAILYLOOK, my favorite go-to site for current trends. I also got a chance to finally share these Wolverine x Samantha Pleet boots with you all. They are so comfy... I can't wait to pair them with pretty little dresses all summer long! It has been sunny and beautiful here in Texas and I couldn't be more thrilled. Stay tuned this week as I have some excited news to announce! And such a beautiful flower child you are!! :) Gorgeous outfit, it's totally "you"! 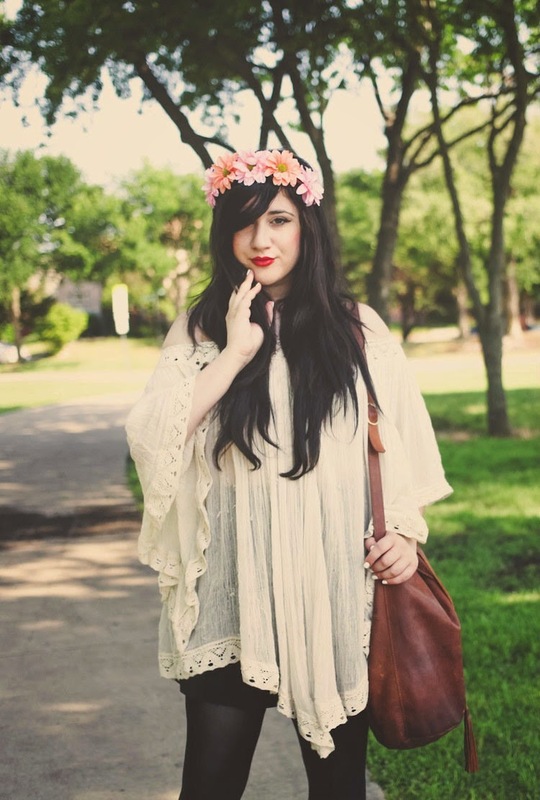 Beautiful outfit, love the flower crown! I love the ultra-femininity of your fashion taste!!! I love the light crinkly look of the fabric, the lace trim at the hem, off shoulder neckline, sleeves, and overall look of that top from DAILYLOOK, and your floral crown is beautiful! You are so beautiful! That top is so dreamy! 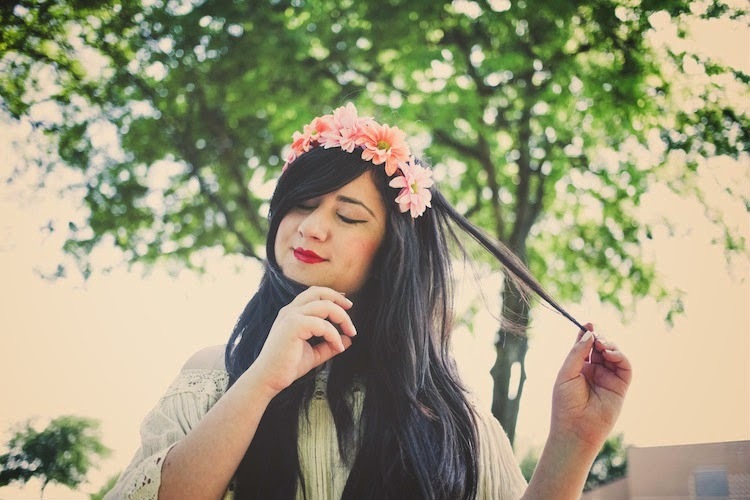 you always look so cute in flower crowns! 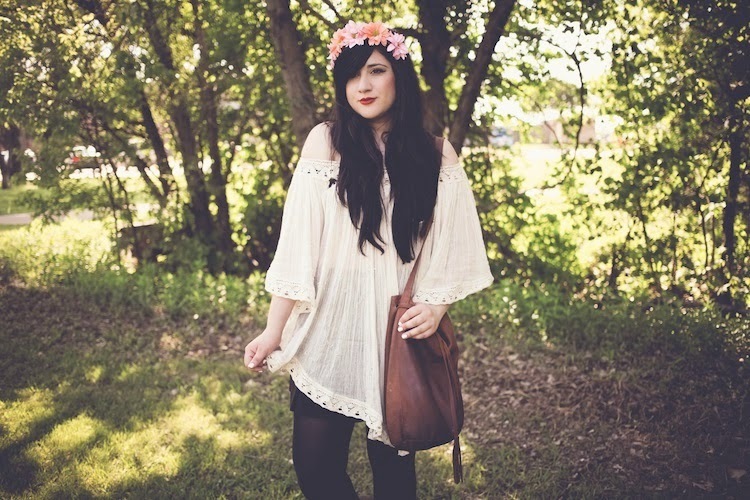 What a perfect floral head band!! luar biasa sekali infonya sangat bagus dan bermanfaa infonya ..
that flower crown is beautiful! thanks banget informasinya gan, semoga bermanfaat bagi semua ..
Terima kasih sudah berbagi informasinya ..
artikel yang luar biasa ..
Aww, beautiful outfit! Absolutely love that blouse. 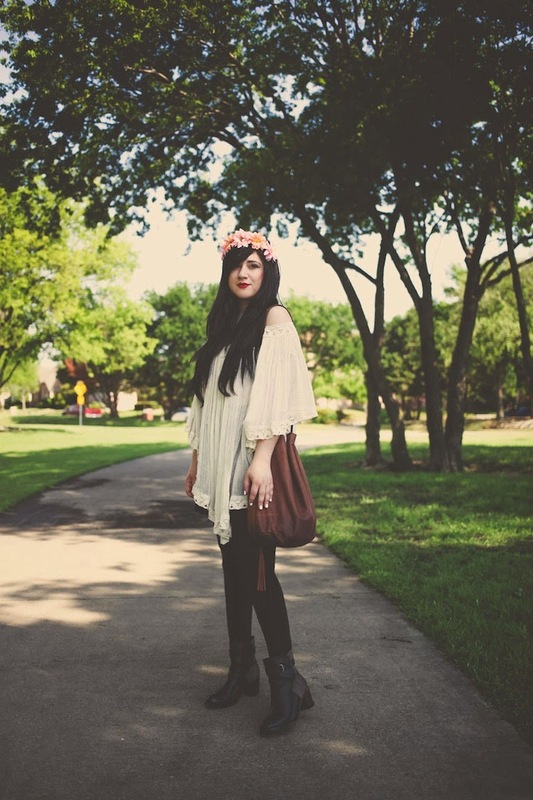 Very clever of you to transform the flower chain into that gorgeous crown! sore semuanya kawan kawan ..
Terimakasih banyak untuk infonya! salam sehat. sukses dengan webnya gan ..
infonya sangat bagus keren banget niiih ..
update terus informasinya kawan .. So, are you definitely gone from New-York? Terimakasih, postingan-nya sangat bagus sekali .. 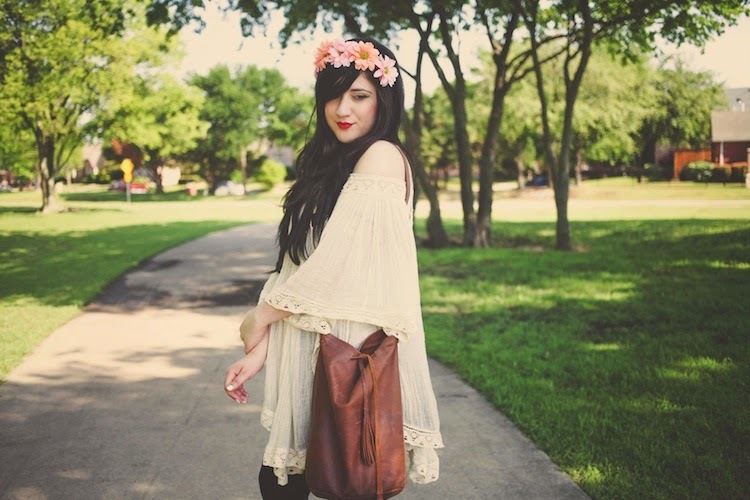 I look at you and I would say you are going to a music festival or something! Ijin menyimak artikel bermanfaat di situs ini gan. Ini merupakan Info yang benar-benar bagus ..
terima kasih untuk kabar terbarunya .